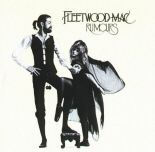 Both Fleetwood Mac albums "Greatest Hits" and "Rumours" that re-entered last weeks Billboard Charts drop off the Top 200 Chart but remain on the Top 200 Catalogue Chart. "Rumours" slides from # 31 last week to # 103 this week on sales 1,929 units vs 3,565 last week. "Greatest Hits" drops 10 places from # 46 to # 56 on sales of 2,406 units vs 3,089. To date, Rumours has sold 2,921,026 copies in the US since soundscan began tracking over the counter sales in November, 1991. Greatest Hits has sold 4,519,558. "Rumours" has been certified in the United States at 19x Platinum (units shipped) and Greatest Hits has been certified 8x Platinum (units shipped in the US). Re-entering the Top Digital Tracks Chart "Landslide" came in at # 58 selling 8,672 downloads vs 3,666 the previous week. To date, Landslide has sold 793,114 copies. Why is the Rumours album doing so well on iTunes again? At last check it was #41 on iTunes album chart. 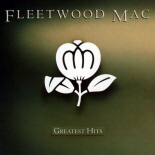 Did GLEE re-run the Fleetwood Mac episode? Yes, the Rumours ep. did re-run earlier this month, hence the reason the album jumped back on the top 200 billboard albums chart.. I think this is just residual.